You should not take this medicine if you have liver disease, severe kidney disease, glaucoma, high blood pressure, heart disease, coronary artery disease, circulation problems, peripheral vascular disease, or if you have recently had a stroke or heart attack. To make sure this medicine is safe for you, tell your doctor if you have ever had alcoholic liver disease (cirrhosis) or if you drink more than 3 alcoholic beverages per day. What is acetaminophen, dichloralphenazone, and isometheptene? Dichloralphenazone is a sedative that slows the central nervous system. Isometheptene causes narrowing of blood vessels (vasoconstriction). Acetaminophen, dichloralphenazone, and isometheptene is a combination medicine used to treat migraine headaches or severe tension headaches. Acetaminophen, dichloralphenazone, and isometheptene may also be used for purposes not listed in this medication guide. To make sure acetaminophen, dichloralphenazone, and isometheptene is safe for you, tell your doctor if you have a history of kidney disease. It is not known whether this medicine will harm an unborn baby. Tell your doctor if you are pregnant or plan to become pregnant while using this medication. Acetaminophen, dichloralphenazone, and isometheptene can pass into breast milk and may harm a nursing baby. Tell your doctor if you are breast-feeding a baby. Follow all directions on your prescription label. Do not take more of this medication than is recommended. An overdose of acetaminophen can damage your liver or cause death. 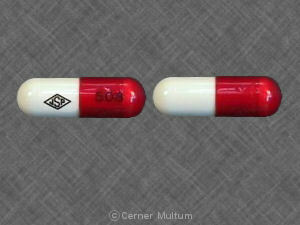 Take the first dose of this medication as soon as you notice headache symptoms, or after an attack has already begun. 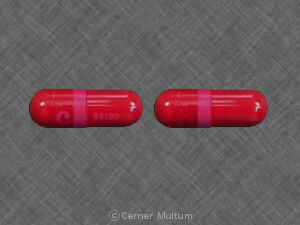 If your headache does not completely go away, take 1 capsule every hour until you feel relief. Do not take more than a total of 5 capsules in any 12-hour period to treat a migraine. If you still have migraine symptoms after taking a total of 5 capsules, call your doctor. Take the first dose of this medication as soon as you notice tension headache symptoms. If your headache does not completely go away, take 1 capsule every 4 hours until you feel relief. Do not take more than a total of 8 capsules in any 24-hour period to treat a tension headache. If you still have tension headache pain after taking a total of 8 capsules, call your doctor. Call your doctor if this medication seems to stop working as well in relieving your pain. Also call your doctor if your headaches get worse or you have more than 2 headaches per week. Do not stop using this medicine suddenly if you have been using it for longer than 2 weeks in a row, or you could have unpleasant withdrawal symptoms. Talk to your doctor about how to avoid withdrawal symptoms when you stop using acetaminophen, dichloralphenazone, and isometheptene. This medication can cause unusual results with certain medical tests. Tell any doctor who treats you that you are using acetaminophen, dichloralphenazone, and isometheptene. Since this medicine is used as needed, it does not have a daily dosing schedule. Call your doctor promptly if your symptoms do not improve after using acetaminophen, dichloralphenazone, and isometheptene. Do not take more than 5 capsules in 12 hours to treat a migraine, or 8 capsules in 24 hours to treat a tension headache. Ask a doctor or pharmacist before using any other pain, cold, allergy, or sleep medication. 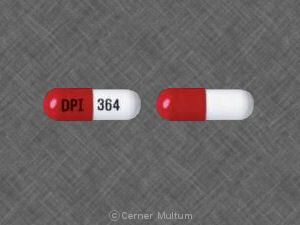 Acetaminophen (sometimes abbreviated as APAP) is contained in many combination medicines. Taking certain products together can cause you to get too much acetaminophen which can lead to a fatal overdose. Check the label to see if a medicine contains acetaminophen or APAP. Taking this medicine with other drugs that make you sleepy or slow your breathing can worsen these effects. Ask your doctor before taking acetaminophen, dichloralphenazone, and isometheptene with a sleeping pill (especially sodium oxybate), narcotic pain medicine, muscle relaxer, or medicine for anxiety, depression, mental illness, or seizures. Other drugs may interact with acetaminophen, dichloralphenazone, and isometheptene, including prescription and over-the-counter medicines, vitamins, and herbal products. Tell each of your health care providers about all medicines you use now and any medicine you start or stop using. Copyright 1996-2017 Cerner Multum, Inc. Version: 7.01. Revision date: 8/13/2013.